I’ve recently located Mary E. Hutchinson’s painting probably titled “Man in Blue” (ca. 1932) through this blog! The subject is most likely Phil Singer who was a friend of the artist. 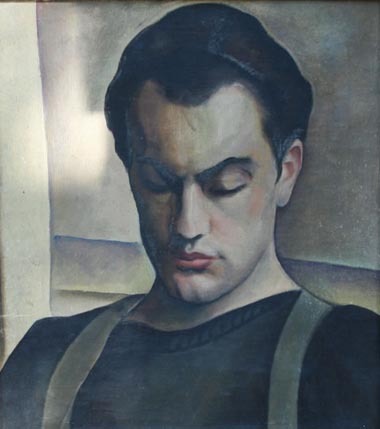 Hutchinson exhibited “Man in Blue” in New York and at Atlanta’s High Museum of Art in 1932. For more information, check out Artworks of Mary E. Hutchinson, my digital catalogue “work in progress” site. You are currently reading Recently Found Hutchinson Painting! at Jae Turner.